A Permaculture Design Course That Works With You! Many students express their deep desire to take a Permaculture Design Course but cannot due to limitations such as finances, time, and family obligations. We have listened and have designed a Permaculture Design Course that harmonizes with these hurdles and makes learning permaculture truly accessible. 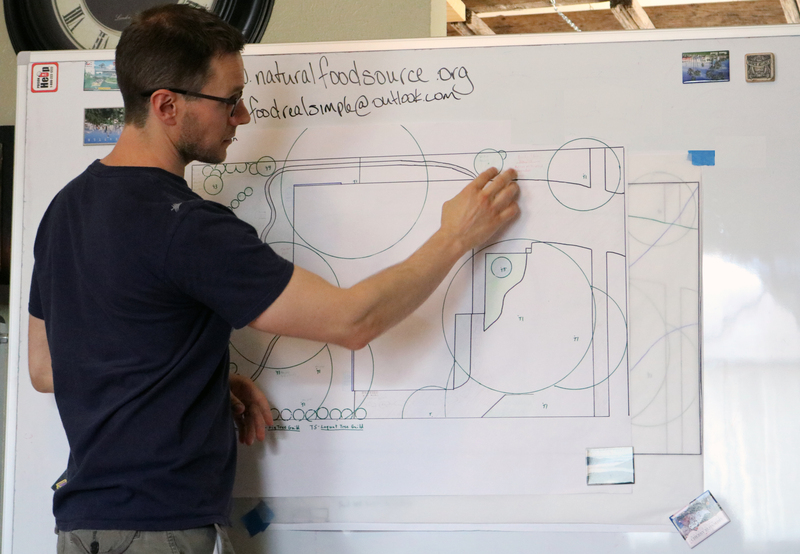 We are rolling out an entirely new format for taking a Permaculture Design Course. The new format makes this course very accessible for learning permaculture and in obtaining very valuable hands on permaculture experience, as well as getting your permaculture design certification. This course will integrate into your daily life as it runs twice, continuously throughout the year. We aim for every second weekend of the month but may change which weekends in presence of a major event or holiday. This allows for a “Come When You Can” model where you are never under any pressure to feel rushed or crammed to fit the course into your daily life. The course runs in it’s entirety 2 times a year. One starts in January and the other in July. Take as long as you want to finish the course (years if needed but not recommended) and come any day of the course. If you cannot start on day 1, then a Free Intro Into Permaculture Class (that is given every Friday evening before each weekend of the course, those dates are posted here) is necessary to start on any other day of the course. No longer will you HAVE to come up with all of the funds to pay for the Permaculture Design Course all at once. This Permaculture Design Course format lifts the burden off of us (on certain levels) which in turn will lift the financial burden off of you. If you have the funds all at once – great pay the course in full and get a considerable discount by doing so. If you would like to pay by the weekend that is great too! Most Permaculture Design Courses run for 2 weeks straight. This is a great submersion experience and we still offer these kinds of courses. However, what they lack is the long term relationships that are made with seeing the same faces and making strong connections with your peers and teachers. Permaculture IS about relationships and this format harnesses that power. We would love to run day care but we just are not staffed to do so. But your child/children ages 12-17 can come for free. Our staff may interview your kid/s too to help in making our Permaculture for Orphans Program the best it can be. You never know they might learn something too. To pay for this course in full, and to receive your 20% off the full price – use the Buy Tickets option on this page. To pay by weekend at $150 per weeken, click on the date in the course schedule section below on this page, and it will take you to the event page for that specific weekend to pay. This course is very flexible in payments. You can pay by weekend or the entire course. By weekend the course is only $150 per weekend. But if you pay in full, then you are eligible for a 20% discount which brings the total price down from $900 to only $720. Work days and field trips may be planned on days/weekends we are not running the course to give more hours involved in experiencing and learning permaculture. We look forward to giving you the best permaculture learning experience offered in a city. We guarantee you will learn a breadth of very advanced and basic information. And aside from that you will have a lot of fun and meet some great people. If you have been waiting for the right opportunity to take your permaculture design course – here it is. See you in class! Permaculture, is a design system that works with nature to provide for all human needs and benefits all life on the planet. Once established it creates a time-rich environment where people can go to a place of employment because they want to, not because they have to. A vast array of different disciplines are learned through Permaculture. The myriad of topics are brought forth through a Permaculture Design Course and then a design is drawn up and implemented to make all the beneficial and harmonious connections. Since the range of topics are so vast we offer additional workshops and courses for very in-depth specialized education, experience, and training. How to transition into a sustainable and regenerative lifestyle. Natural and recycled building principles and techniques for new or already existing structures. Creating life filled and nutrient rich sustainable soils. This topic is of extreme importance. Organic and beyond production using looped systems that yield nutrient dense food. Living and designing in urban and suburban environments. Reading, surveying, and working the land for desired and beneficial results. Working with animal systems and humane care for them. The reading and study of the major climates of the world and how to work within them. Creating nutrition and life through water systems in both rural and urban settings. Designing a lifestyle and nutrient dense food that truly support and heal the body. Not only working with natural systems is important but with each other as well. Using the principles and methods of permaculture you will positively benefit your lifestyle and create a closed loop living system that produces no waste and benefits all living things. We look forward to building a relationship with you! Want to sponsor a student, Contact us.